If only traders had to pay compensation automatically when a delivery or installation was late? That may about to become a reality in Broadband cases. Broadband and landline customers who suffer poor service could get millions of pounds of money back automatically under a new scheme proposed by Ofcom. 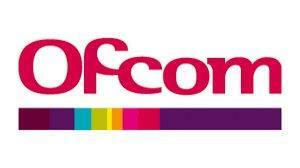 OfCom has published proposals to make providers pay for slow repairs and missed deadlines and appointments. It estimates that as many as 2.6 million customers could receive up to £185m in compensation payments each year under the proposed scheme. “When a customer’s landline or broadband goes wrong, that is frustrating enough, without having to fight tooth and nail to get fair compensation from the provider,” said Ofcom’s consumer group director. “We’re proposing new rules to force providers to pay money back to customers automatically, whenever repairs or installations don’t happen on time, or when people wait in for an engineer who doesn’t turn up. Ofcom said it would set payments “designed to reflect the degree of harm suffered by consumers”, and gave a number of examples. If a broadband connection or landline is not fully fixed after two working days the provider would have to pay £10 a day until it is repaired. If an engineer does not turn up for an appointment or cancels with less than 24 hours’ notice, the payment would be £30. If a provider fails to start a service on the agreed date, it would have to pay £6 for each day of delay, including the missed start date.